The Nite Shift is no longer for sale. It will be demolished in mere days. Dale Sperling was one of more than a dozen people who gave an earful to the Bremerton City Council last Wednesday night. The 41-year Kitsap resident and longtime developer praised what he called “one of the best physical settings in Puget Sound,” with a “high value” workforce and a ferry to Seattle. 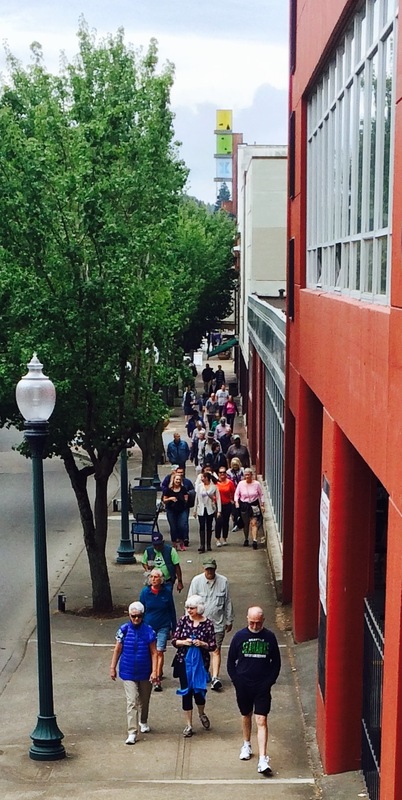 “So why is downtown Bremerton not taking off?” he asked the Council. Sperling’s now the owner of the old Nite Shift tavern, which hasn’t been open for years. During an inspection inside a colleague of his actually fell partially through the floor — hence his reference to the epitome of blight. The building, home to both the Nite Shift and Scotty’s taverns in decades gone by, had been bought by the owners of the Horse & Cow a few years ago. But Mike Looby and Larry Timby have found success on the recently brick-lined section of Fourth Street. 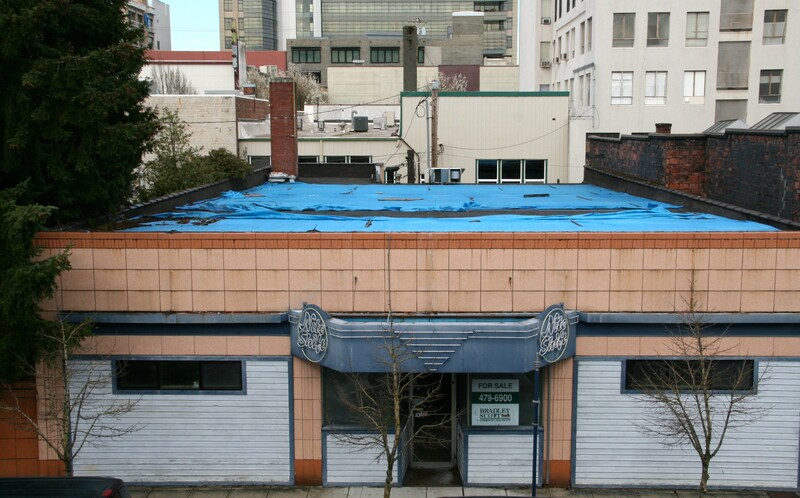 In came Sperling, seeking an opportunity in downtown Bremerton. 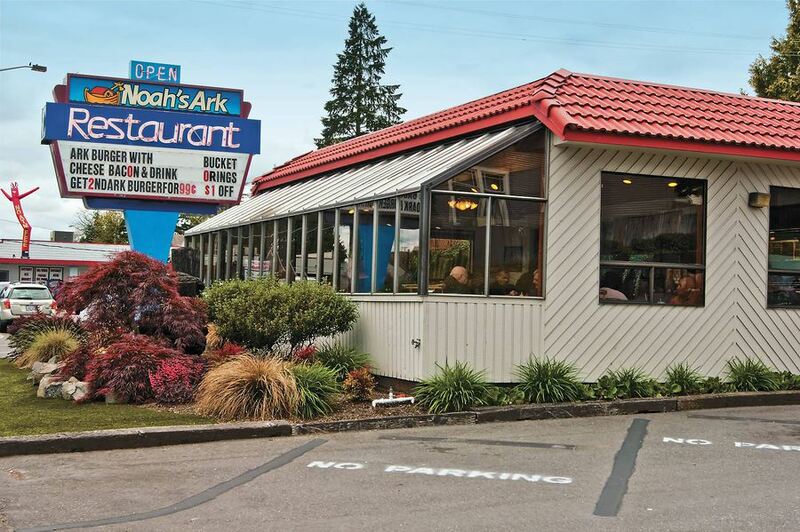 The 1946-built tavern sold for $250,000, according to the Kitsap County Assessor’s Office. Sperling, once the president and CEO of Unico Properties, owner of around 15 million square feet of commercial real estate in the western United States, says he’s “bullish” on Bremerton and Kitsap County. More recently, he founded a company known as OneBuild, which manufactures prefabricated modular units — “everything but the toilet paper,” he told me — and then stacks them like legos into contemporary apartments. The bulldozers should get going at the site, 242 Burwell Street, within days. What will happen after demolition is still up in the air. Sperling, who is working through the permitting process and has presented plans to construct 30 units there, says there’s no timetable for construction. He does not want to put the cart before the horse, he told me. If he goes forward with his plans, his project will join the list of downtown apartment projects including The 606, a 71-unit venture being constructed by Lorax Partners down the street, as well as The Spyglass Hill apartments, an 80-unit apartment complex overlooking the Manette Bridge. Other projects have been planned near Evergreen Park and on Washington Avenue as well. All told, Bremerton could have hundreds more apartments in its downtown core in just a few years. Sperling is confident Bremerton will soon thrive. And he’d like to be a part of that. He shakes his head when he sees surface parking lots in downtown Bremerton. Outside the first brewery. Photo by Greg Salo. 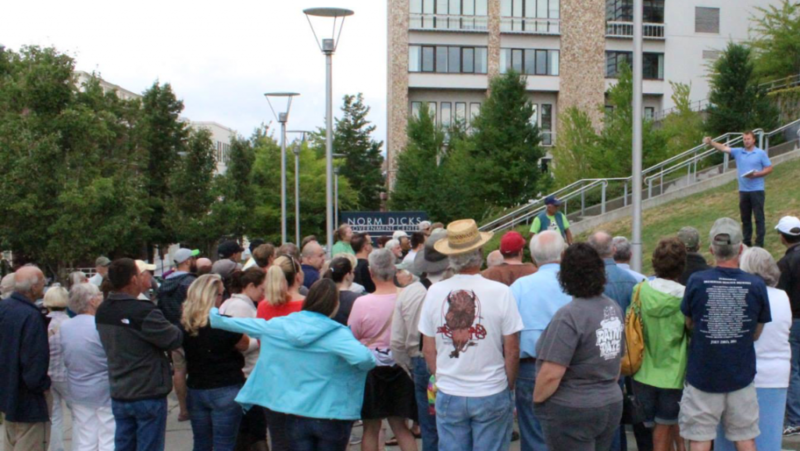 I was overjoyed this past week that so many of you turned out for two different Story Walks. It started Thursday at the Kitsap Historical Society & Museum. 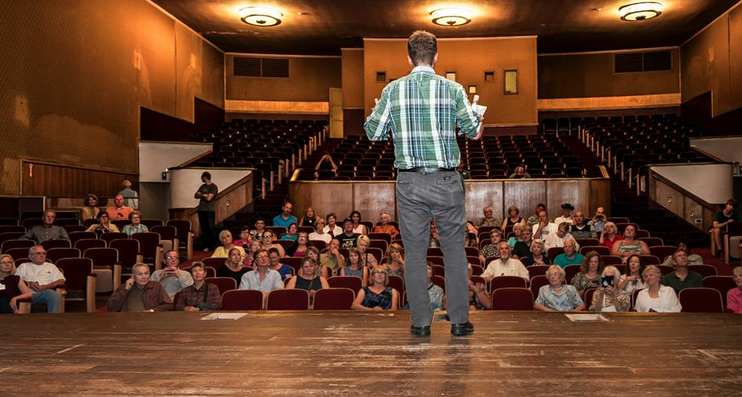 We toured the 1941-built Roxy Theater next door, taking in the 650-seat theater and all its glory. 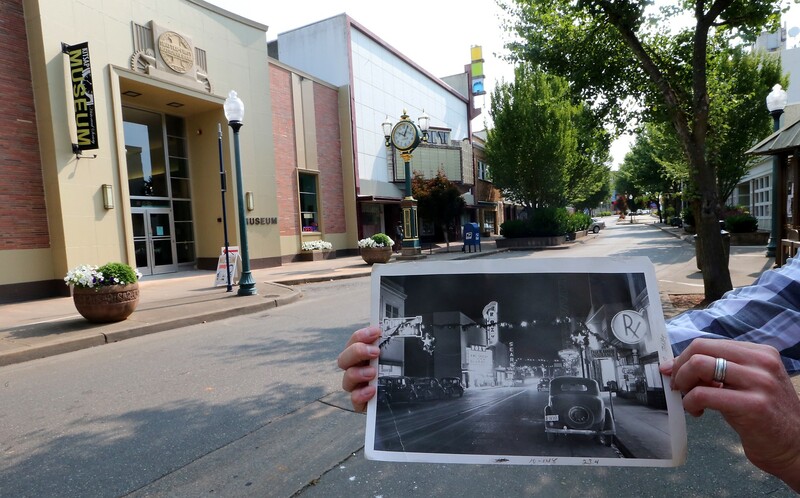 We also walked Pacific Avenue to talk about some of the theaters gone by here in Bremerton. On Saturday, we walked to Bremerton’s four different breweries, getting an inside look at LoveCraft and Wobbly Hopps (which haven’t opened yet) and talking with Silver City and Der Blokken‘s brewers. About 80 people came to each walk. If you were there, I’d love to hear what you liked (and disliked) about each one. I will have another walk every month and will keep you posted as details for the August walk are ironed out. In the meantime, here’s links to earlier Story Walks. Inside the Roxy. Photo by Mark Henson. 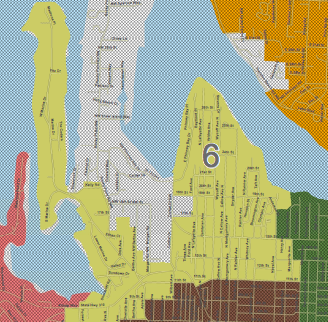 The area of Marine Drive, Anderson Cove and some of 11th Street are covered in Bremerton’s Sixth Council District. Only one of three seats up for Bremerton City Council is contested this year. But that race promises to be intriguing. Councilman Roy Runyon, in his third term on the Council, is defending his seat from Richard Huddy and Kim Faulkner. Faulkner happens to be Runyon’s wife. Tonight, the candidates will face off for the first time at a debate, held by the League of Women Voters, at the Norm Dicks Government Center. The other two races are uncontested. Leslie Daugs in District 2 (East Bremerton) and Greg Wheeler in District 4 (Union Hill area) are running unopposed. We’ll carry the debate for the District 6 seat live tonight on this blog, starting at 6:30 p.m.
For seven years, Two Blocks Up Cafe, at the corner of Fourth Street and Pacific Avenue, has served up sandwiches, oversized cookies and the “Two Block Chop.” But on July 24, the business will close up shop for good. Their lease is up, and the building’s owners, The Bremer Trust, found a tenant that will rent out a larger 2,200 square foot space. The area includes not only the restaurant but also a western wing of the building that had proved hard to find prospects for, according to Gary Gartin of Bradley Scott. For Taylor Wagner, the move is a hard one. “This has been my baby for seven years,” she said. Come August, the new tenant will move in. So what’s coming? The Hot Java Cafe, which already has a location within the Silverdale Beach Hotel. The cafe also used to have coffee stands at the Home Depots in Silverdale and Poulsbo before the big box store disallowed other businesses from operating there. Lacey Coolbaugh, who owns the business along with DeeDee Easler, said they’re taking on their biggest ever cafe endeavor. After taking over the space now held by Two Blocks Up, they plan this winter to expand the cafe by taking on the additional unrented space behind it. “We’re really, really excited about it,” she said. They’re aiming for a community gathering place, to include not only your morning coffee but your evening beer or wine. Along with a menu of soups, salads and sandwiches, they want to host game nights and musicians. They’re hoping to open in mid-August. Wagner said she’s enjoyed watching downtown grow and change over the years she’s been there. But she knows what the hardest part of leaving will be. Wagner’s next move? She’ll soon be opening “LaTay,” an espresso stand near the Chevron station on top of RIdgetop (off Silverdale Way). Wanna check out Bremerton’s newest public art? You’ll have to wait for some rain, or bring some water balloons along to reveal it. 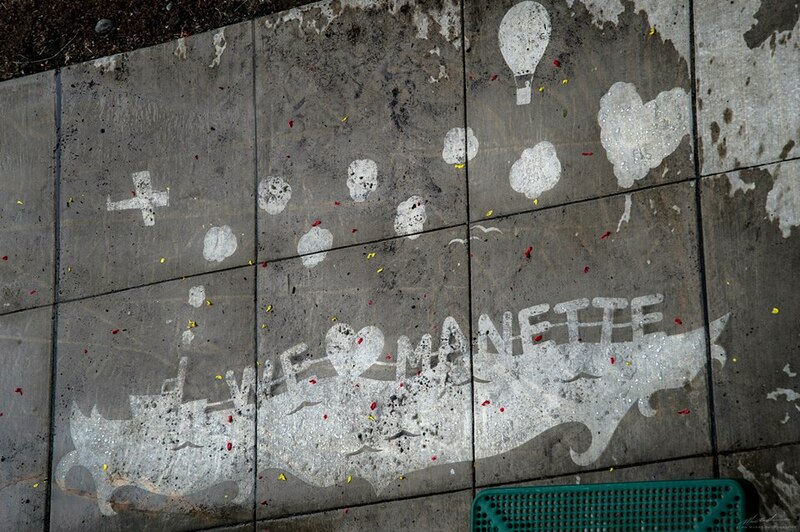 That’s exactly what a group of Manette residents did on Saturday (not to mention it did actually briefly rain!). The neighborhood capped a community drive that brought a Seattle artist to Bremerton Saturday with a big reveal, on a sidewalk underneath the Manette Bridge. The company behind the design is called Rainworks, and they’ve done around 50 of these pieces, according to artist and founder Peregrine Church. He and colleague Xach Fisher utilize a non-toxic and environmentally safe product that repels water, stenciling it onto the concrete below. Cher and Church, of Rainworks. Mark Henson photo. They came to Manette because the groundswell of support was great. About 130 people voted through a community contest to have Rainworks come here — more than the next four communities combined. A special thanks goes out to Mark Henson, one of our area’s great photographers, for taking photos. Sydney Olsen says she was waiting for food for her family when a staff member approached her and asked if she’d cover up. The staff member said there had been complaints. Olsen said the incident greatly upset her and she’s not been able to eat since it happened. 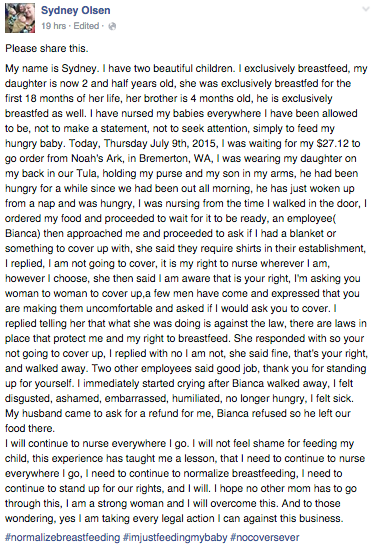 She said customers and even other restaurant employees consoled her afterward. “The laws in Washington protect me,” said Olsen, who plans to file a formal complaint and would like an apology from the Sixth Street restaurant, as well as a refund for the food they ordered. 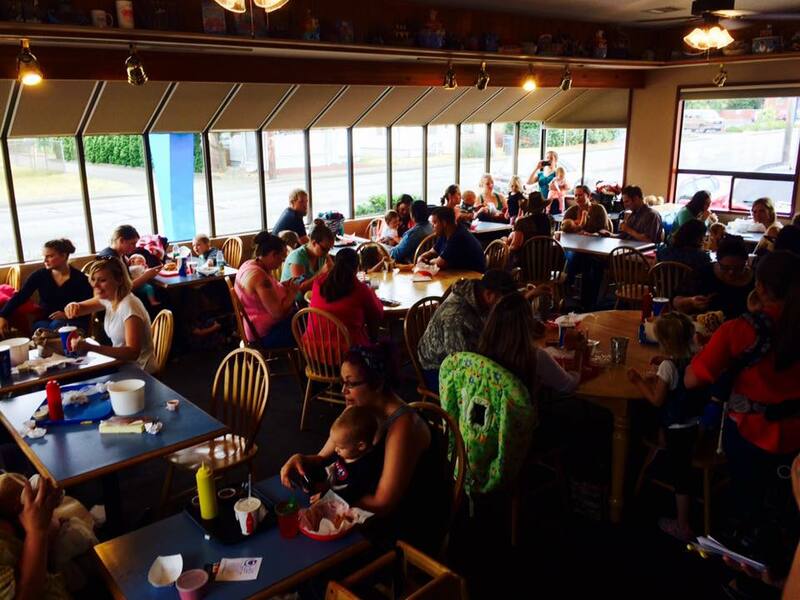 “We have warmly welcomed many breastfeeding mothers into our dining room over the years and it was never our intention to make anyone feel disrespected or discriminated against,” the post said. Staff there acknowledged the Nurse In on Saturday, and will participate. 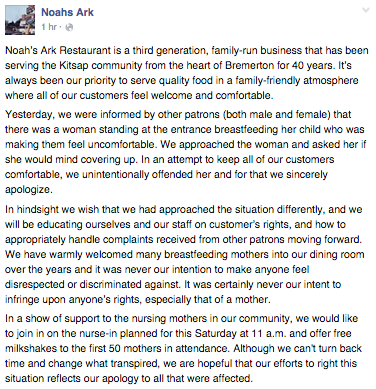 The restaurant will give free milkshakes to the first 50 mothers in attendance. Here are the posts from both Olsen and the restaurant. UPDATE, Saturday, noon: I stopped by the Nurse In and talked with both staff and Olsen. It was a peaceful affair — lots of families and nursing mothers. Olsen said that while she’s still displeased at what happened, she was satisfied that the incident has elevated awareness of the issue. She was given a refund. The Garguile family — owners of Noah’s Ark — said they were happy to support raising that awareness as well, handing out free milkshakes. July + Bremerton = beer. And all you need is right here in Kitsap: Nearly 400,000 gallons were produced by the county’s 11 craft breweries this past year. This free Kitsap Sun tour, at 1 p.m. Saturday, July 11, will go see each of Bremertons’ four breweries. It will start downtown at LoveCraft and Wobbly Hopps Brewery, which will open soon, and then venture across the Manette Bridge to see Silver City Brewery (at the Manette Saloon) and finish at Der Blokken Brewery. Meet at the Norm Dicks’ Government Center parking lot on Fifth Street, between Pacific and Washington avenues. Wear comfortable shoes, as we will be walking across the Manette Bridge and back. 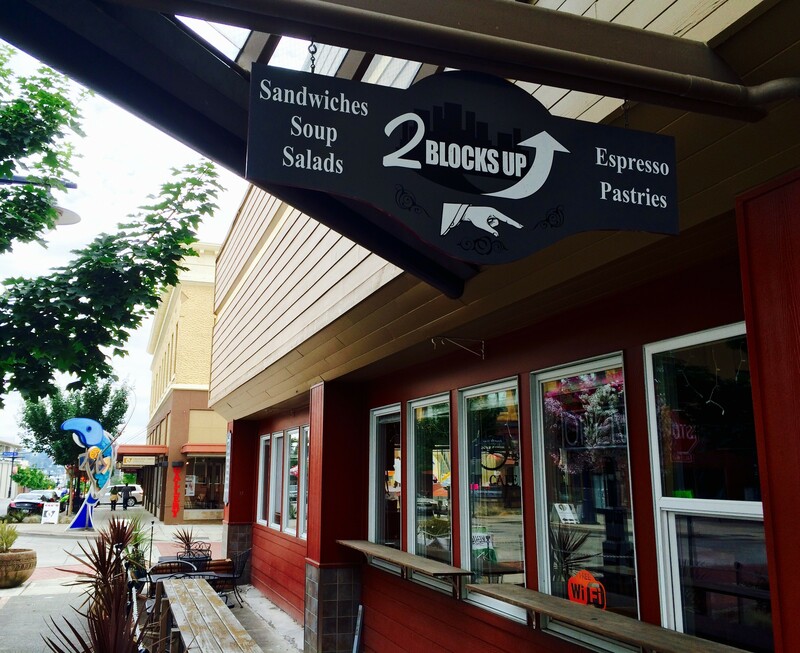 The Horse and Cow Pub and Grill (536 Fourth Street) will host a first anniversary block party from 11 a.m. to 10 p.m. Saturday. The street will be shut down and beers from the local breweries served, along with live music, barbecue and $2 burgers. Did I mention I host a news trivia night? 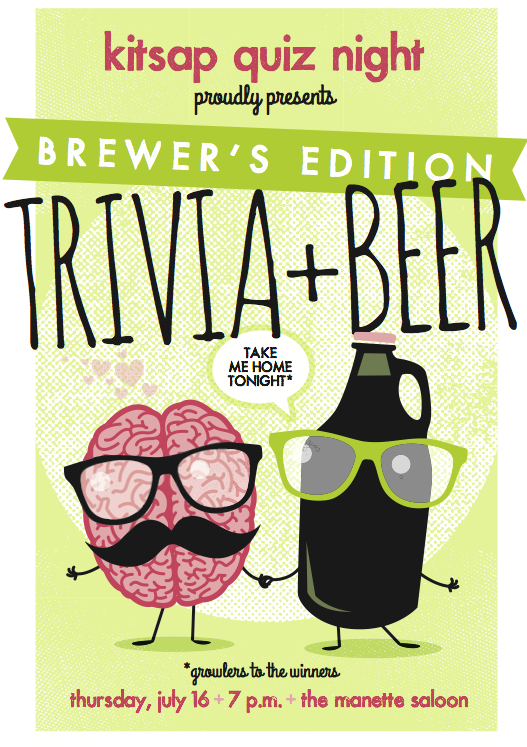 On Thursday, July 16, we’ll do a local beer-inspired quiz at the Manette Saloon (2113 E. 11th Street) starting sharply at 7 p.m.
For more details, check out the Facebook invite here and be sure to RSVP. Bring a team or just bring yourself. The winning team will get beer-related prizes to take home. On the eve of the actual BrewFest, Toro Lounge (315 Pacific Avenue) is hosting a preview featuring several local breweries. 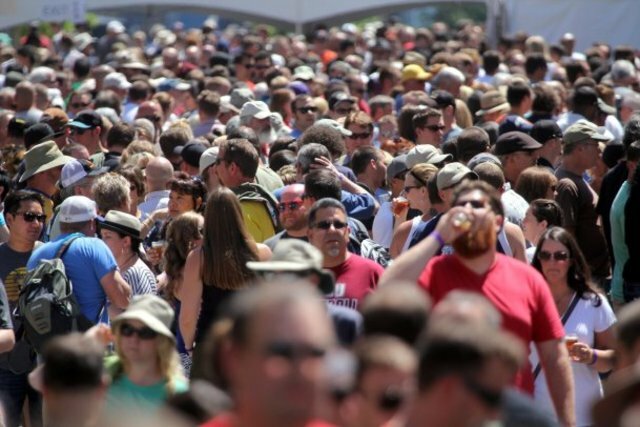 It will run from 6-8 p.m.
Aaaaand we’ve come to the main event: from noon to 6:30 p.m. Saturday, July 18, 30 craft breweries from around Washington will pour around 100 different beers. This year — the fifth in the festival’s history — is the first time it won’t be located on Pacific Avenue, and instead will pack the Louis Mentor Boardwalk near the maria. 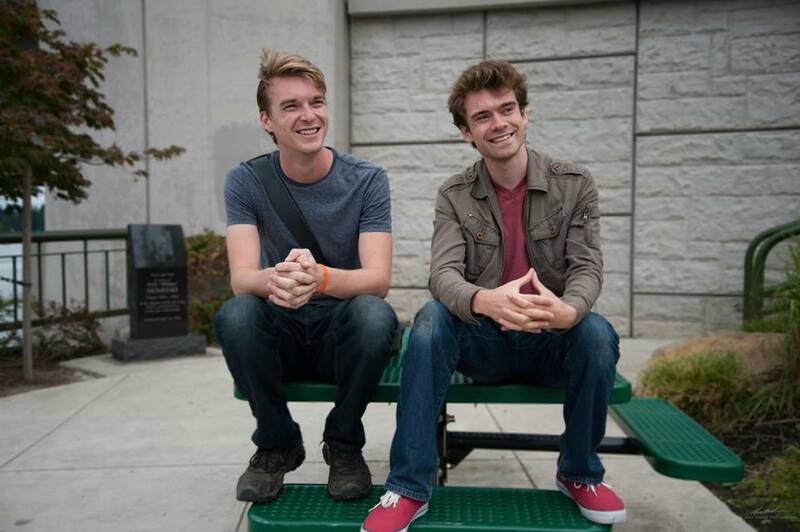 Each year has drawn thousands of people from all over Western Washington. Tickets are $25 at the door or $20 if pre-purchased, which buys you six five-ounce tastes. Tickets can be purchased here. That should do it, ladies and gents (let me know if I’ve missed any!). And please don’t hesitate to get in touch with me if you have questions. For more information about each of Kitsap County’s breweries, check out this amazing graphic my colleague Tad Sooter put together. Oh, and below, you’ll also find a full list of beers for the Summer BrewFest. At the height of the second World War, Bremerton was dotted with theaters. 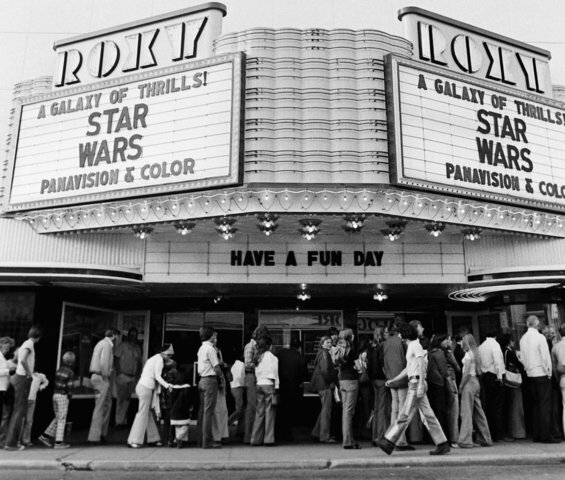 A city of more than 80,000 — double what it is today — had a seemingly insatiable demand to escape to the movies or take in live theater. There was the Tower on Fourth Street. The Rex and the Rialto on Second Street. 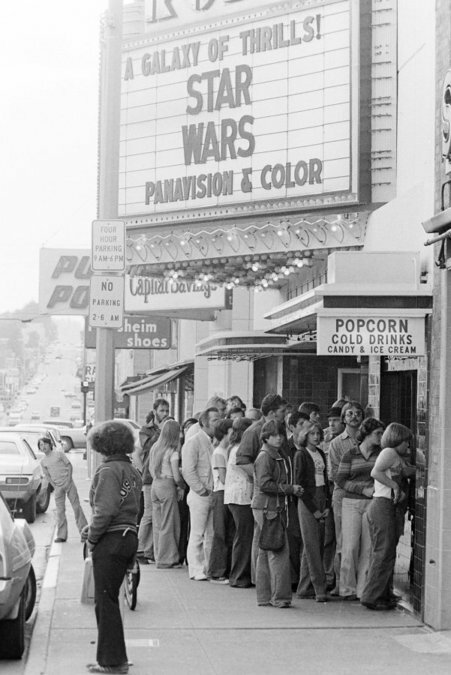 Even the Bay Bowl, on Bremerton’s east side, started as a theater. 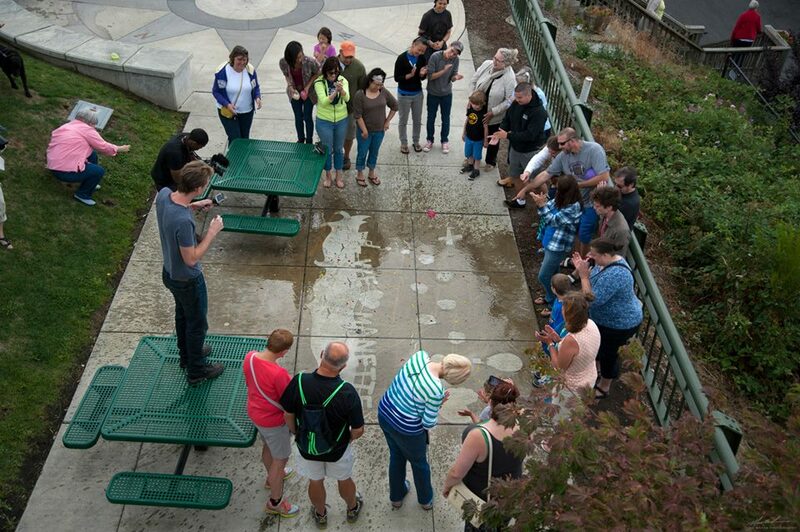 STORY WALK: Meet at the Kitsap Historical Society and Museum, 280 Fourth Street, at 6:30 p.m. Thursday, July 9 for an evening stroll through Bremerton with Reporter Josh Farley. Tickets are $5 for historical society members; $10 for nonmembers. RSVP here. The only two still standing from that era are the Admiral and the Roxy. The Admiral was restored and reopened in 1997. The Roxy remains shuttered. “Even more important for youngsters was the new Roxy Theater on Fourth Street, advertised to cost $150,000 for construction and equipment. The Roxy hired the best-looking girls in town as usherettes; they were permissive in letting their friends sometimes sneak (local vernacular was “leach”) into the theater without charge and also, some said, in other ways as well. 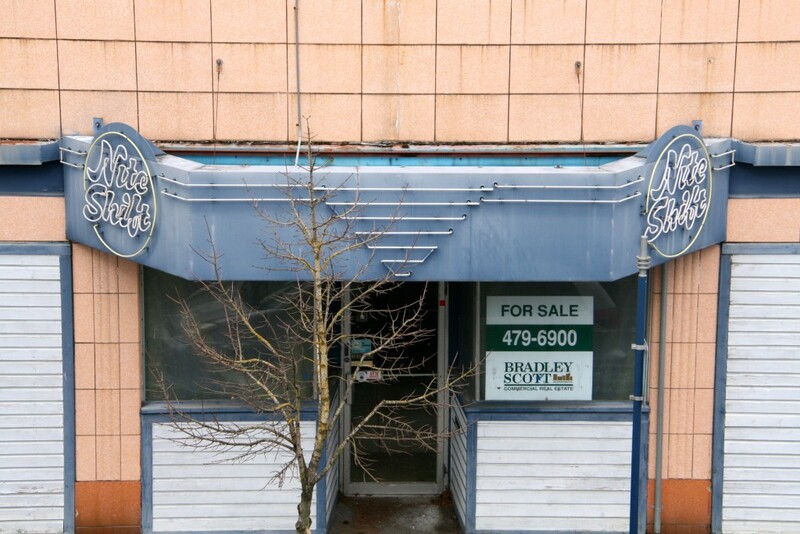 As you probably read in today’s Kitsap Sun, there’s a new effort to restore the Roxy. I packed the article with as much history as I felt could get past my editor. But the place just has so many stories. So on Thursday night, we’re going to revive as many of those memories as we can. The Kitsap Historical Society and Museum has invited me to give a talk and tour of some of downtown Bremerton’s most historic buildings. It’s my latest Story Walk. My main focus will be the Roxy but we’ll take a stroll around the block to see some of the other famous buildings of Bremerton that remain standing (and so that aren’t). Some goodies that are in store for Thursday: an old uniform from the Roxy, old ticket stubs and even a five minute newsreel documenting the theater’s opening in 1941. Nearly four years ago, Bill “Travis” Poplin and Jeri Schueler went on their first date aboard the USS Turner Joy‘s haunted ship at Halloween. Last weekend, they returned there to exchange vows. 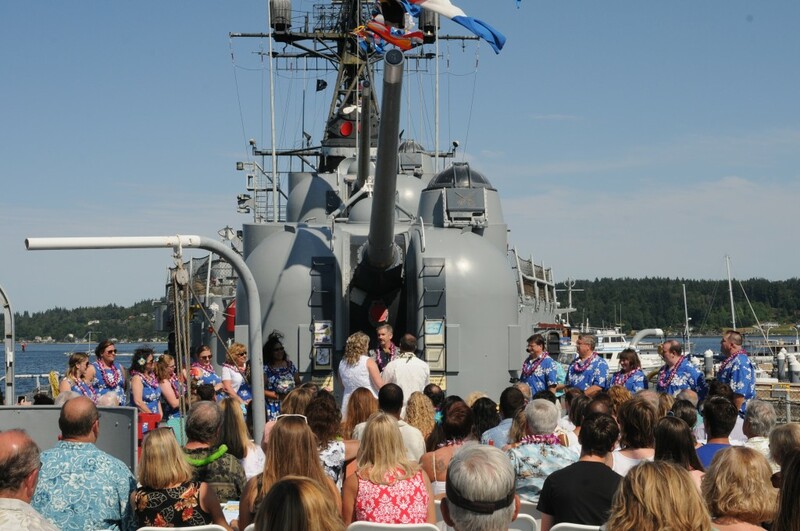 About 135 of their friends and family crowded the stern of the ship last Saturday in a Jimmy Buffet-themed wedding, complete with Hawaiian leis. 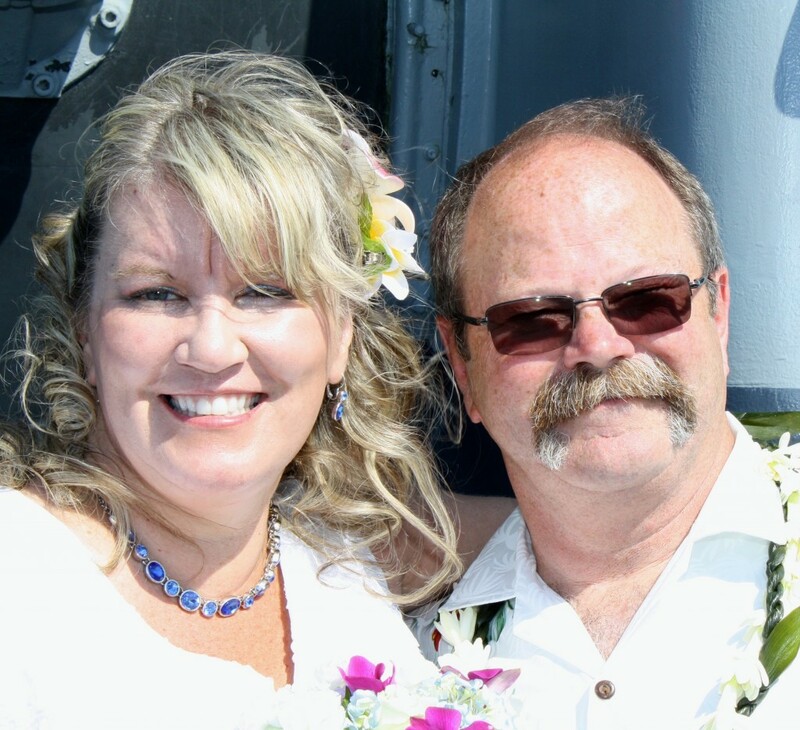 It was entirely appropriate for the Port Orchard couple — Poplin, a retired tin can sailor and Schueler the office manager at Hillside Elementary on Joint Base Lewis McCord. 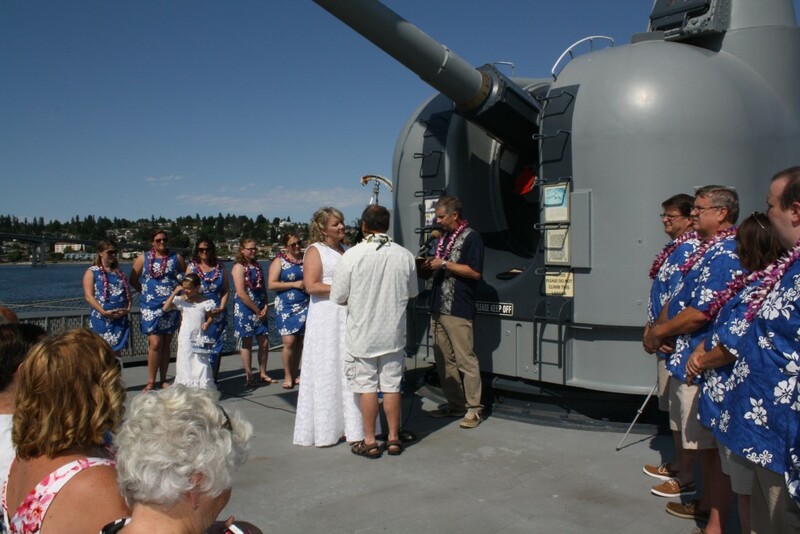 They both love the museum ship and encouraged their guests to tour it as part of the festivities. “It was excellent,” Poplin said of the wedding, adding that the couple encouraged guests to donate to its foundation in lieu of gifts. Schueler called it “perfect,” with hot temperatures . “It looks like we were in Hawaii, maybe even on the Missouri,” she said. Some friends helped ferry people across Sinclair Inlet for a reception at Port Orchard Yacht Club following the ceremony. Their first date aboard the ship’s haunted environs nearly four years ago was followed by dinner at Anthony’s. “I figured I’d scare her to death and so she wouldn’t eat as much,” Poplin joked of his plan. He proposed to his bride-to-be at Christmas this past year, getting down on one knee in front of her family. After she said yes, it was time to start planning for the big day. The ship was happy to oblige. Both felt the ship was a beautiful setting, though some of the attendees gave the couple some gentle ribbing on one aspect. Special thanks to Poplin and Schueler for providing the photos. 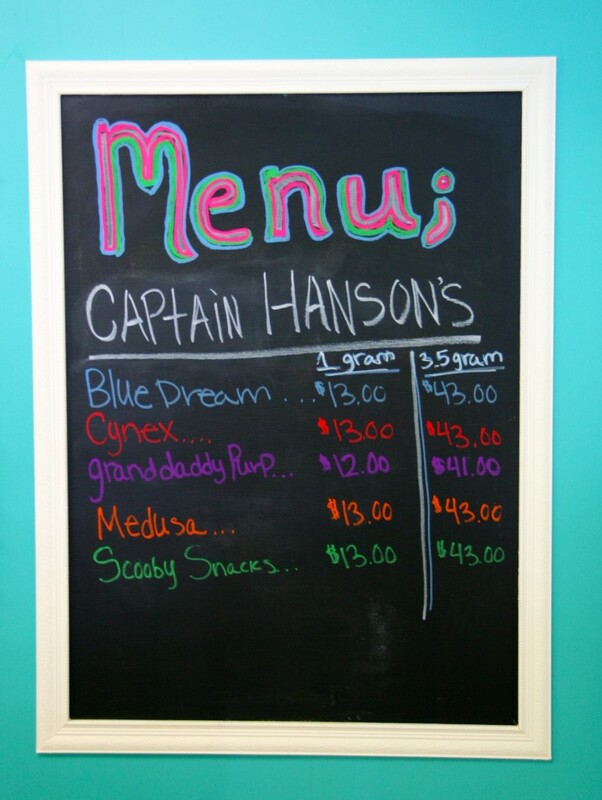 Bremerton’s first recreational marijuana shop is open for business. Pacific Cannabis Company held its soft opening on Tuesday at 625 North Callow Avenue, just days after state officials issued their license. 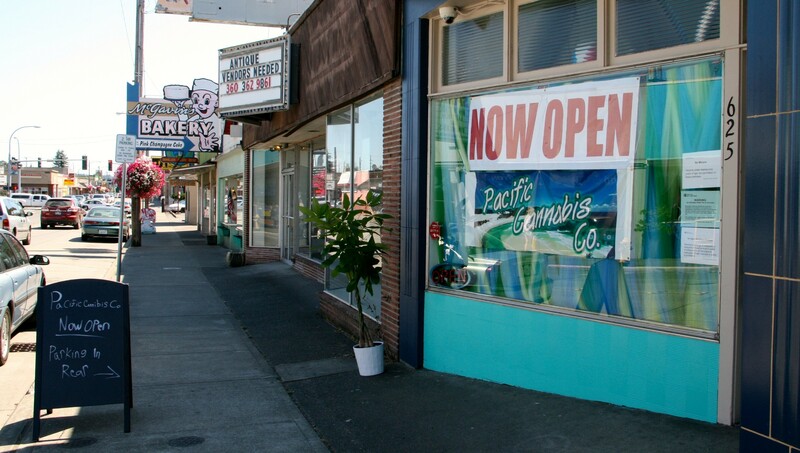 Nestled in a storefront between China Wok and McGavin’s Bakery, the shop represents a coming tide of marijuana stores to Bremerton and Kitsap County. A store called HWY 420 has been up and running since October on Charleston Beach Road, but alas, it’s just outside Bremerton city limits. Two other pot stores are awaiting licenses in Bremerton as well, one just up Callow at 11th Street and the other in East Bremerton on Hollis Street, according to city officials. Outside Bremerton, several stores have already opened in South Kitsap and on Bainbridge. Pacific Cannabis is the sixth licensed here in Kitsap. It’s been a long time coming for Kristen Waters, its CEO, who formerly owned an auto shop Port Orchard. She applied through the Liquor Control Board in November 2013 for the license. The store’s decor includes boogie boards and an ocean wave motif. Waters wanted the 500-square-foot storefront to have a “warm and welcoming” feel, a contrast to some rather drab environs she’s found at other pot stores around the state. Her own entrance to the pot marketplace came through illness. Waters endured chemotherapy a few years ago and it all but killed her appetite (she’d prefer not utter even the name of the illness from which she suffered). Down to 109 pounds, she tried pot and was able to eat again. “I never dreamed at 47 that I’d be into marijuana,” she joked. The store will offer a wide variety of edible pot products and will feature Tommy Chong’s brand. For now, their inventory is only building up but staff expected to have much more in stock by Friday. A gram on Tuesday was going for $12 or $13 and joints were selling for $9. Waters plans to keep prices consistent and low as possible to be competitive. The store’s hours will be 10 a.m. to 11 p.m. Sunday to Thursday, and 10 a.m. to midnight on Fridays and Saturdays. Below, you’ll find a map of all recreational marijuana locations by way of my colleague Tad Sooter, the Kitsap Sun’s business reporter.